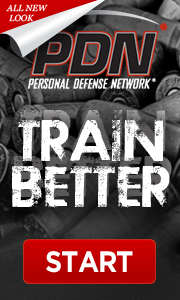 We subscribe to and follow the Professional Code of Defensive Shooting Instructors. IDS was created in response to the continuing need in the Northern Virginia area for quality and excellence in personal preparation intended for unforeseen criminal confrontations. Several courses that are offered place particular emphasis on avoidance of these types of situations. Even though there are numerous avenues for the local general public to pursue competing firearm / crime prevention educational alternatives, IDS has enjoyed rapid and consistent growth. Classes are limited in size to guarantee individual competency and proficiency. Our clientele continues to grow simply by the recommendations of former students. IDS ensures that all existing / future staff members are experienced marksmen / instructors and insists that they maintain current certification with either the National Rifle Association (NRA), National Rifle Association Law Enforcement Division (LED) or the Virginia Department of Criminal Justice (DCJS). The staff has participated in competitive shooting matches conducted by the International Defensive Pistol Association (IDPA) / International Practical Shooting Competition (IPSC) and they have attended numerous continuing education courses to maintain and further their skills. The staff has a combined total of over 25 years of instructor / firearm experience. Innovative Defensive Solutions on WUSA9 a week later in regard to Groupon pulling our Daily Deal! Innovative Defensive Solutions, llc was featured in the May issue of Combat Handgun Magazine. The Article was titled “The ABC’s of Home Defense” though the course that the Author Intended was the NRA First Steps Pistol Course it discusses a women’s path to Home Defense, starting with the “NRA First Steps Course”. Innovative Defensive Solutions, llc was featured in the June issue of Combat Handgun Magazine. The June issue is a Special Issue Called “The Complete Book of Auto Pistols 2013” The Article is titled “Combat Focus Shooting”. The article discusses the background of the CFS program and the writers perspective of the CFS course which is considered the Pinnacle of Defensive Handgun Instruction. The author took this course through IDS back in September in Percellville, VA.
As of 3-31-2013 this article is only available in the print version at your local gun magazine store location.